Robin and I had the honor of attending the dedication ceremony of the flagpole at the Boy Scout facility on Mill Street in Abbeville today. The flagpole has long history. It was once the flagpole at the old J.S. Wright High School – a gift from the class of 1955. 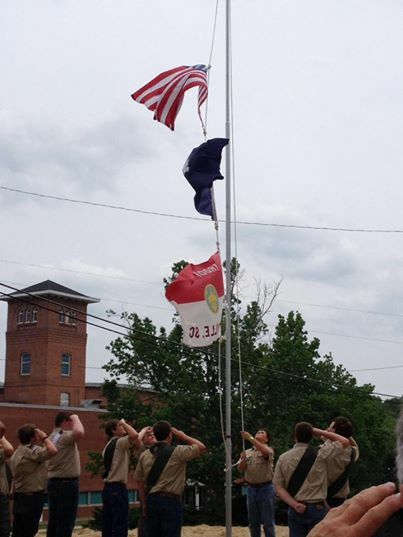 Congratulations to Troop 62 and its troop leader – Ed Patton. Ed is a great man and has worked with the Boy Scouts in Abbeville for over 30 years.